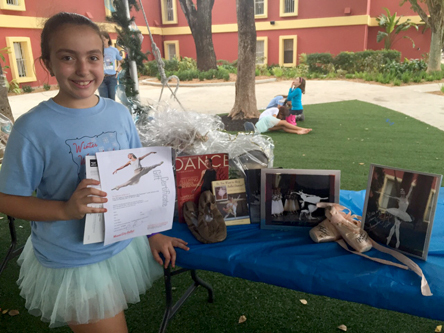 Pointe shoes autographed by MBC Principal Dancer, Jennifer Kronenberg, as well as an autographed copy of her book and an autographed copy of Dance Magazine with her picture on the cover. 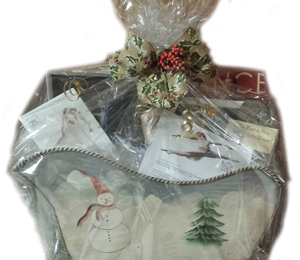 Enter for a chance to win a beautiful holiday basket! 4 tickets to Miami City Ballet’s “The Nutcracker” at the Adrienne Arsht Center for the Performing Arts (valued at $196) for Thursday, December 18th @ 7:30 p.m. Dancers will be selling tickets after school starting this Friday. They will also have their own booth at Family Affair where they will continue to sell tickets until the drawing.